The historical fantasy setting is 6th century Scandinavia and the scene of constant fighting between the clans. Hilf is the niece to the Scylfing (Swedes) king and is prone to spells of hyper-adrenaline when she skillfully uses her sword to kill the would-be assassin of the young prince. Instead of receiving praise for her actions, she is exiled when the king promises her as the bride to the new King Wiglaf of the Geats. Is this truly a peace offering or is betrayal intended? Hilf displays her warrior skills during the treacherous journey to her new king and learns to respect her new people. Hilf is a rich character. She is raised as nobility but not overly spoiled. She can hold her own and values honor. This companion novel to The Coming of the Dragon, a retelling of Beowulf, stands alone. But now that I have read Peaceweaver, I will go back and read The Coming of the Dragon because the author is a superb storyteller and I want to know more about Rune aka King Wiglaf. Highly recommended. This is one of the first Viking books that I read and it is one of my favorites. I’ve read almost everything that Michael Cadnum has written. He is excellent! From CIP: On his first Viking raid, seventeen-year-old Lidsmod sails on the ship Raven, joining his comrades as they destroy and plunder villages in medieval England and take an Anglo-Saxon boy as captive. The Edge of the Sword was on our reading list when the book was first published and it was very popular. The author explains military strategy and the characters display loyalty, honor and bravery. The sequel is Far Traveler. They can be read independently of each other, but it helps to read them in order. From CIP: In ninth-century Britain, fifteen-year-old Aethelflaed, daughter of King Alfred of West Saxony, finds she must assume new responsibilities much sooner than expected when she is betrothed to Ethelred of Mercia in order to strengthen a strategic alliance against the Danes. Magnificient! The story opens with murderers brutally cutting the tongue out of young Evyn. Evyn meets Harold Godwinson, soon to be the last Anglo-Saxon king of England. The king keeps Evyn by his side reasoning that being mute, Evyn could not betray the king. Harold was on his way to fight William of Normandy who was invading England, but was sidetracked by the King of Norway – a betrayal by Harold’s brother. King Harold dies, arrow through the eye, at the Battle of Hastings. I learned so much about Harold Godwinson and William the Conqueror. I followed up by reading The Striped Ships by Eloise McGraw. Now I need to go to France and see the Bayeux Tapestry. I had no idea that the Byzantine Empire was so advanced. This is one of my favorite historical fiction books. From CIP: In the eleventh century the teenage princess Anna Comnena fights for her birthright, the throne of the Byzantine Empire, which she fears will be taken from her by her younger brother John because he is a boy. There wasn’t just one crusade to the Holy Lands, but several. The timeline of the many crusades can be confusing. It was a harsh and brutal time period. The various groups going on crusade often became roving bandits, plundering along the way. From CIP: Ursula, condemned as a witch because of her knowledge of healing, escapes being burned to death when she joins her father and thousands of others who follow Peter the Hermit on the first Crusade from Cologne to Jerusalem in 1096. Young Tree-ear is an orphan living under a bridge. He comes to work and later apprentice with Min, a potter who makes painstakingly perfect celadon ceramics. He journeys to the royal court to try and earn Min a royal commission. I learned so much about Korea and how advanced their artisans were. This won the Newbery Medal in 2002. Absolute fantastic book to learn about Eleanor and Henry II, parents of Richard the Lion Heart (from Robin Hood fame) and John Lackland. The political scheming concerning the ruling of England and France is exposed. Read this book first, and then watch the movie from 1968, A Lion in Winter with Peter O’Toole and Katharine Hepburn. This remains one of my favorite historical fiction books. Fascinating story with characters who turned the course of history. Will is a young noble who longs to become a brave knight. When King Richard calls for a Crusade to the Holy Lands, Will and his brother Gavin go. Will brings his magnificent chestnut stallion to serve as his warhorse. The story certainly does not glamorize the Crusades, but paints a realistic picture of the nightmare. Saladin’s point of view is also presented. Rich characters. The second book in the series, Green Jasper follows Will after his return from the Crusades. The third book, Blaze of Silver, follows Will as he tries to save his King Richard who is being held for ransom in Germany. From CIP: Hubert, a young knight’s squire sailing back to England from the Crusades, must take up arms again when infidels attack the ship, and he discovers his fight is not over when he finally reaches home only to find a friend facing execution. The story takes place in Wales around 1280 when King Edward I of England conquered Wales. He sealed his control of the Welsh by granting lands to loyal Englishmen and moving them into newly built town houses within castle walls. The Welsh were treated harshly, with no rights and heavy taxes. Spoiled English girl Cecily is miffed with her father when he decides to seek his fortune and move them to Caernarfon in Wales, one of King Edward’s new castles. She treats the Welsh servant girl, Gwenhwyfar, rudely and punishes her severely. The story alternates to Gwenhwfar’s voice and her struggles to survive, now as a servant to the cruel English in lands she was raised to rule. The Welsh rebel and take bloody revenge on their English masters. Now the roles are reversed. I finished this book a week ago and have been trying to gather my thoughts before writing this review. This story has lingered with me, hovering in the back of my mind while I read two other excellent books. The historic background is woven into the story through the well-drawn characters to truly immerse the reader into the story. From CIP: The thirteen-year-old daughter of an English country knight keeps a journal in which she records her longing for adventures beyond the usual role of women and her efforts to avoid being married off. From CIP: In medieval England, a nameless, homeless girl is taken in by a sharp-tempered midwife and, in spite of obstacles and hardship, eventually gains the three things she most wants: a full belly, a content heart, and a place in this world. This was on our reading list many years ago. The students liked it very much. Rather than focus on a momentous event in history, it looks at the life of commoners and the few choices they had in life. From CIP: Thirteen-year-old Lily, daughter of the town’s executioner living in fifteenth-century Europe, decides whether to fight against her destiny or to rise above her fate. A crippled boy in fourteenth-century England proves his courage and earns recognition from the King. 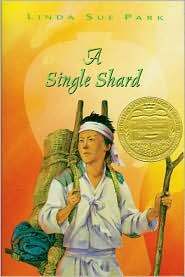 I read this book so long ago, when I was reading as many Newbery and Newbery Honors as I could. I was on a mission to read them all, but failed miserably. This book stood out though. Very well researched and written. Yolen and Harris teamed up to write several historical fiction novels. All are captivating. From CIP: As English armies invade Scotland in 1306, eleven-year-old Princess Marjorie, daughter of the newly crowned Scottish king, Robert the Bruce, is captured by England’s King Edward Longshanks and held in a cage on public display. 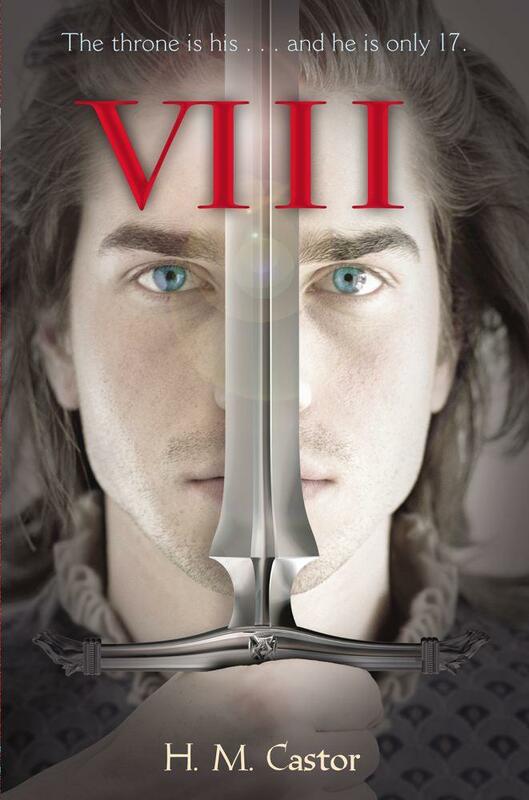 Aware of her sister’s deadly efforts to secure the Scottish throne for Robert de Brus, Meg realizes she must protect the young Norwegian princess who has been chosen as rightful heir. The opening line is, “When I was nine years old, I hid under a table and heard my sister kill a king.” This is an excellent tale of Scotland during the medieval period and the relentless battles and maneuverings of the thrones of Scotland and England. Another story about Robert the Bruce and this one is good – very descriptive battle scenes. A powerful and cruel nobleman throws out his newborn son because he was born with only one ear. The nursemaid raises the child as her own and calls him Luc. 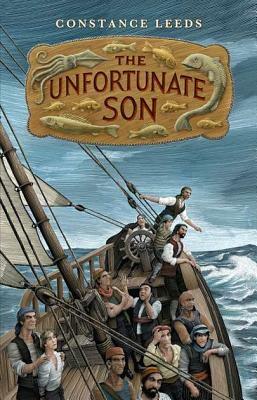 Hated by the man Luc thinks is his father, he finally has enough and leaves home for the welcoming fisherman’s family in the nearby fishing village on the French Mediterranean coast. He blends in wonderfully with aging fisherman Pons, his sister Mattie and her charge, the Lady Beatrice. Beatrice has her own story that of course is entwined with Luc’s. While out fishing with Pons, Luc is captured by slavers. In northern Africa, the wealthy, wise and respected Salah buys Luc and begins to educate him. Luc has landed in the best possible situation and while still a slave, he is educated and loved. Will Luc ever be reunited with Beatrice? Set in the 15th century, the story alternates between France and Tunisia. The author deftly weaves her well researched knowledge of the period into her characters. Plenty of descriptions of food too! Salah is the wise elder that everyone would be fortunate to know. I need to go back through and note Salah’s many sayings. More than historical fiction, it is the story of characters, culture, adventure, and perseverance. Highly recommend! This superbly well written novel is the second in a series set in the court of King Henry VIII. While Gilt covered Catherine Howard’s (wife #5) time at court, Tarnish focuses on Anne Boleyn’s (wife #2) arrival at court to eight years before her marriage to the king. The author excels in personalizing these prominent historical figures and also in explaining the intricacies of the court. I never felt like I was reading a history lesson, yet the novel is quite credible with the attention to details and accuracy. 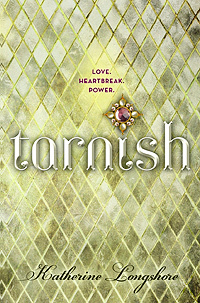 Teens will enjoy the romance, the intrigue, and the court politics wrapped in cleverly worded dialogue. For readers who need a bit of background on the Tudor Court, please read the Author’s Note at the back of the book first. Highly recommend.